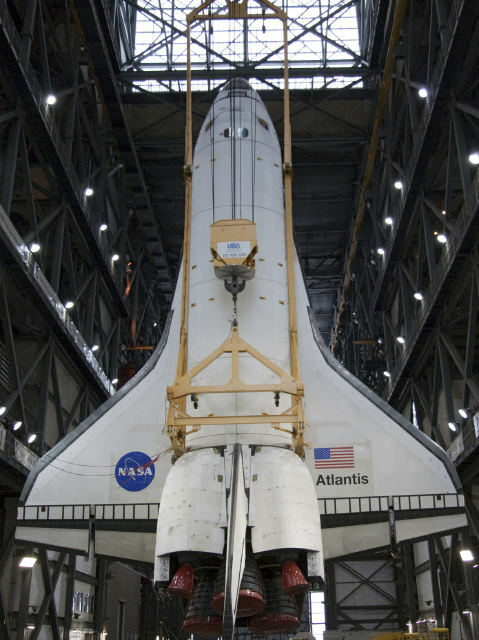 Today’s picture features a look at Space Shuttle Atlantis as it is being hoisted up to be mated with the external tank and solid rocket boosters for it final flight, and the final flight ever of the Space Shuttle program. I’ll have fond memories of Atlantis! When I saw this shuttle launch in November, 2009, it launched me back into the model rocket hobby!